We specializes in manufacturing and exporting various kinds of Evening Wears. 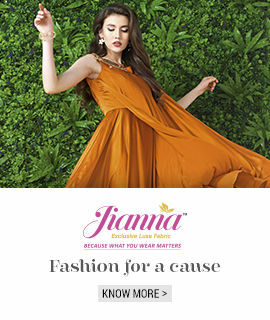 Established in the year 2005, we have been identified as a fast growing manufacturer and exporter of a wide range of apparels for the fashion conscious women of modern age. We started in the name of Navrang Overseas in 1995 and today are known as Maruti Creations. Our venture in the business of apparel manufacturer is lead by Mr. M. D. Khatri, proprietor of the firm. Our range of apparels includes: woven belt with fringe, beaded kurti, tank top, tie dye scarfs, gypsy blouse, tie dye skirt with coins, Indian tie-dye skirt. Besides offering these products, We also offer bags with hand embroidery, hooded cap, tie dye dress (one piece dress), ethnic embroideries, hooded top. we are capable of producing 6000 dresses per month. We boast a wide base of clients spread across the globe. Offering a splendid range that is attuned with the latest fashion trends, we have been catering to different clients in UK, Australia, New Zealand and other countries.